You had a great season last year. Is there any particular moment that stood out to and why? I think last year’s moment for me was Gijon. My goal, when I came back from having my son Jasper, was to make a team. That was something that I really wanted to do. 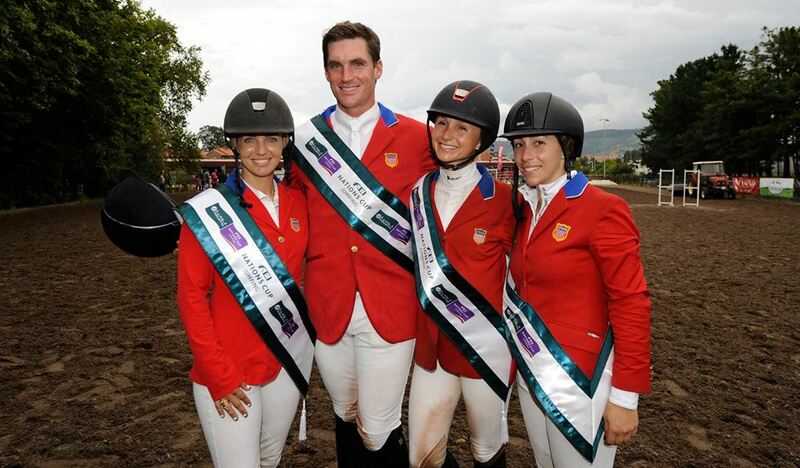 I’ve always loved riding on the US team. I would absolutely go anywhere in the world to be on the US team and to make it a priority. I ended up having the best time in Gijon with the team. So to jump double clear and then for us to win was just really special. For me that was really sending a message that I’m back. I think anytime you take some time away from a sport, your first victory after being back means a lot and it’s always a statement that you are back and ready to go. You’ve worked with a few people. Who have you worked with in your career that you would consider has shaped you into the rider you are today? Jimmy Doyle, who works with me now and has been with me for 13 years. For sure there have been a lot of people who have really shaped my career and helped me along the way, but for sure the main influence has been Jimmy, I mean he’s been with me for 13 years! He’s always been my biggest supporter, always believed in me, even when he probably shouldn’t have. He makes me believe in myself. Jimmy also helps me with more than just the horses,; he helps me with life. We travel together, we experience a lot together. He’s someone I can always rely on for any sort of advice, whether it be life or horse-related. He’s always been that person who gives me a kick when I need it as well as a pat on the back when I need that also. I don’t think I would be anywhere near where I am now without Jimmy and to be honest I don’t think I would even be riding if it hadn’t been for him, forcing me to believe in myself. What do you admire the most about this sport and why? I grew up doing every single sport I could but for me I always loved this sport the most. Our sport is unique because it brings together a person and an animal. You can work your absolute hardest but if your horse isn’t having a good day then those efforts aren’t going to pay off. I think also that men and women competing equally is something I really enjoy. I’ve always considered myself a feminist so the idea of men and women competing against one another equally is something I really admire about our sport. Speaking of powerful women. Is there a career in the sport that you would like to emulate? There are a lot of women in this sport that I truly admire and respect for many reasons, but there isn’t one person that I want to copy exactly. I think that I have learned many things from the women I look up to, but I think that you have to create your own path. You can use others paths as a guide for sure, and for some people, following someone else’s exact path works. But I have always prided myself on being different and unique, and I love the idea of paving my own way. I like to learn as much as I can from other riders, women, and mothers, and then use that knowledge to figure out how I want to accomplish things in my life, and what I want to accomplish in my life. I want to be me, not someone else. I think that the person you want to become should be the very best version of yourself that you can imagine, and then you should go out and try to become that person. Is there a format of competition that you prefer in the sport and why? I would say the Nations Cup format, not only because, like I said, I thoroughly enjoy being on a team, I think it is always fun riding on a team versus just riding for yourself. There is of course more pressure because you’re not just letting yourself down but you’re letting your team down. But when it does go well it’s the greatest feeling in the world to be able to pull through for your team, Chef d’Equipe and country. Touching on your motherhood, you are a mother now. How has having your son Jasper changed you as a person? I mean it’s changed me in a lot of ways. I’ve always been surrounded by a lot of animals so I always used to joke that it’s just another bowl at the end of the food line and in a lot ways there are a lot of similarities between taking care of animals and taking care of kids. You learn fundamentally to put someone before yourself and you learn to be nurturing and caring. You always have to be on, you can’t just say, “ah well I’m going to sleep in today”, you can’t not feed the baby. So in many ways I was already used to that so that didn’t change a lot. But it does change everything, I mean all the clichés about how they become the only thing that matters and your whole world revolves around them and you put them first, and that has definitely been true for me. You know, this is all super important to me and I am super focused when I am at a horse show but at the same time at the end of the day, there is nothing in this sport that will ever be more important to me than my son. Another way it has changed me is it’s made me more emotional. I used to not really have much sympathy for human beings, I was always more of an animal person. Now I find myself empathizing towards humans more. Now I will read a story about a sick child and I will start crying whereas before it just wouldn’t resonate with me unless it was an animal. So motherhood has definitely made me more emotional and warm-hearted, I would say. This issue is our ‘Next Generation’ Issue. Talking about the new factors that are unique to our generation. What do you think are the factors that are effecting our generation within the sport? I’ve heard so many people say over the last couple of years that there is this big gap coming and there is no top young riders coming up but I think it is the exact opposite, if you look at the young riders coming up now, there are exactly more top riders between the ages of 20 and 30 than there are between the ages of 30 and 50 in the United States. Which has never been the case in the United States before. There is always the issue of funding and talented riders who don’t get that top horse or that great sponsor but that has always been an issue and that is not new. If you look at Kent Farrington, for instance, he is a perfect example of someone who came from nothing, worked his way up and accomplished amazing things. Now he is the No.1 rider in the US. One thing you will never hear Kent Farrington do, is complain about what he doesn’t have or what he wasn’t given in life.I think that is a characteristic not just in riding but in all walks of life, those people who are the most successful never focus on what they don’t have they focus on what they do have and what they can do with it. I really respect that Kent did the best with what he could and he never felt sorry for himself. I think a lot of people want to say that young riders are more successful earlier because they were given things and they have money. Absolutely, it is much easier when you have money and there is no question that things are easier if you have the money to go out and buy your own horse but that does not mean that a young rider without money cannot make it in this sport. I think it always bugs me when people say this is a very elitist sport. Yes, it is very expensive to keep a horse. There are celebrities and big names with money associated with the sport but that doesn’t mean there aren’t people in the sport who didn’t start without money and who have been successful. I think some young riders can get discouraged because they feel they can’t partake because they don’t have millions of dollars so they feel they can’t get to the top or that they don’t belong, when that’s not the case. 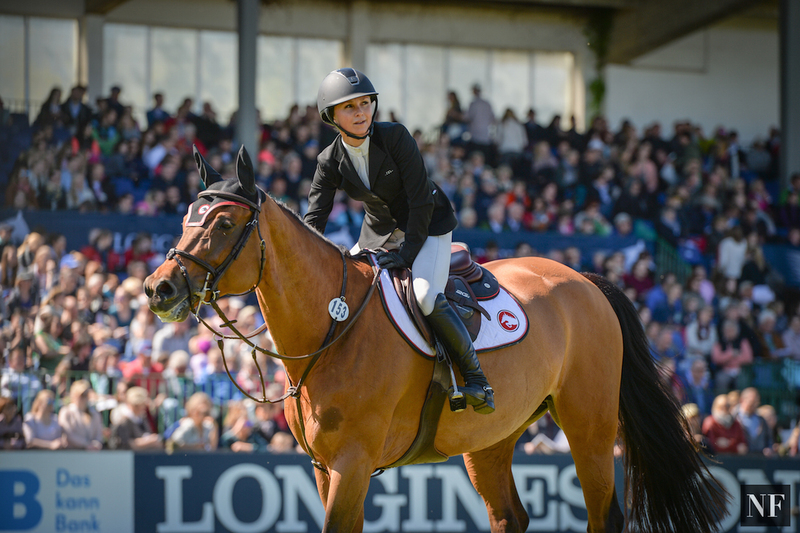 Do you think there is a bit of a double standard in the industry, whereby riders are expected to get the funding but if they do have the money then they’re not taken seriously and people say they bought their way in? Absolutely! In this sport you have to develop a thick skin and you have to do what you know is right. People are always going to criticize you. That is something I am certainly used to in life and I’ve just developed a thicker skin and I tune that criticism out. If you start letting it get to you, it’s only going to affect you negatively. 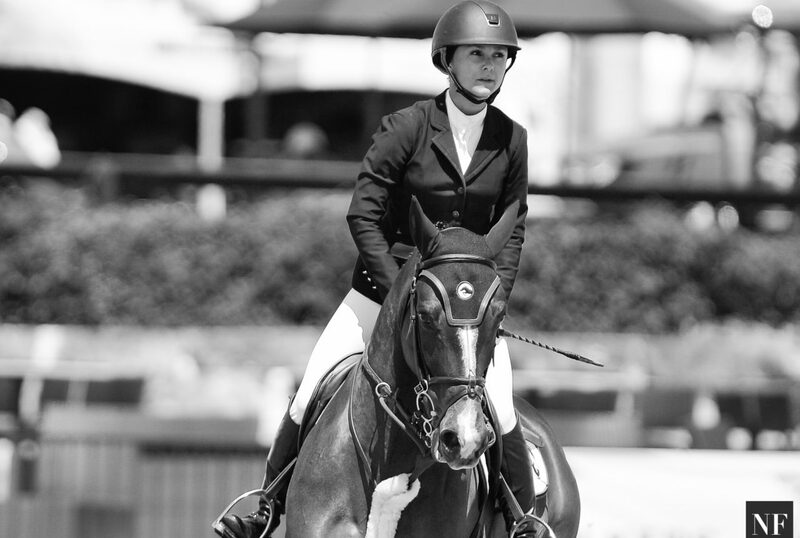 You joined Jessica Springsteen and Lucy Davis on the cover of our debut Summer Issue! What do you respect about Jessica as a rider and what do you respect about Lucy as a rider? Jessica and Lucy are a bit younger than me but I have gotten to know both of them in the last few years and consider both of them good friends now. I’ve always been fiercely protective of this next generation of riders that is coming up in the sport and like to stand up for them and be there for them in any way I can. There are certain riders, like the two of them, who I respect as riders but also love as people. I would do anything to protect them and help them in any way. They are both really talented riders and two people I genuinely have fun with. I think with Jesse, I’ve always faced the criticism that comes with having a famous last name and there are always people who want to associate with you because of who your father is and I know that is something she’s very used to as well and I think that hopefully I can be in a position at any time to be a shoulder to lean on. She has accomplished great things, not because of her last name but because she is a talented rider and she works very hard. She deserves everything that she gets. People want to say, oh she has it easy because of her last name or because of who her father is, so I hope I could be a sort of role model to her and give her the determination to keep going and just tune all that out. Lucy is someone who I think is always just so cool and calm under pressure. 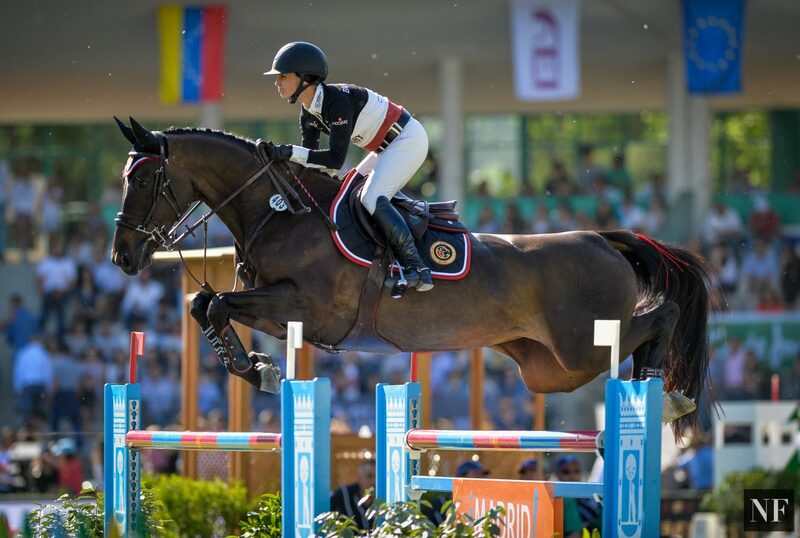 She is an amazingly talented rider and also an awesome person. She is very humble and down to earth and doesn’t take herself too seriously. Lucy is someone who is sort of wise beyond her years. I think people are always surprised to hear how young she is. Not only because of the way she rides but also because of the way she talks and the way she handles herself. She is just incredibly mature. I like to jokingly tell her that she should listen to me because I am older than she is, but most of the time she is probably the one guiding me! What do you think the sport will be like in 10-15 years time in the United States? I think there are amazing things happening in our sport at the moment. If you look even just in the last couple years and see what sort of venues we have been able to compete at, it is pretty incredible. I mean look at Miami, Central Park, Los Angeles, you look at these places and the people who have come to watch the shows, the fact that we were broadcast on NBC sports, that sort of exposure is amazing. I think that if you look back a few years ago, there was very little interest in the sport in the US and we were really struggling to stay alive. Now, our sport is really booming and I hope that through this increase in exposure, showjumping could really become a mainstream sport.